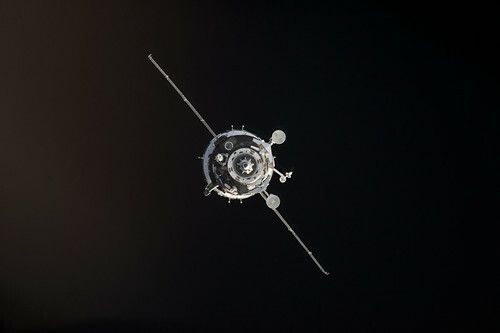 ISS039-E-005704 (27 March 2014) --- A view from the International Space Station shows the Soyuz TMA-12M spacecraft shortly before docking of the two orbiting vehicles. Onboard the Soyuz at this time were incoming Expedition 39 crew members -- Soyuz Commander Alexander Skvortsov of the Russian Federal Space Agency (Roscosmos) Flight Engineer Steve Swanson of NASA and Flight Engineer Oleg Artemyev of Roscosmos. Onboard the orbiting complex were Expedition 39 Commander Koichi Wakata of the Japan Aerospace Exploration Agency (JAXA), Flight Engineer Rick Mastracchio of NASA and Flight Engineer Mikhail Tyurin of Roscosmos.